Since 1949, Air Lift Suspension has been at the forefront of the Suspension Aftermarket. Air Lift Suspension makes top quality air spring suspension products for the automotive, truck, and RV aftermarket. Air Lift's line of products is diverse, featuring air helper springs for RVs SUVs, Vans, and more. 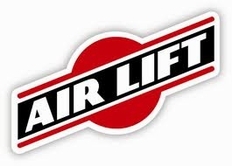 One of Air Lift's most desirable features is their line of "no drill" applications, that are truly "bolt on". Air Lift On Board Compressor systems are among the most sought after by enthusiasts worldwide. Whether you're looking for a basic Air Lifter 1000, or an Air Lift Load Lifter 5000, or anything else Air Lift offers, we carry the entire line of Air Lift Suspension products.